Another quaint place to visit is the little hamlet known as Botrivier or Bot River. Hermanus day trip to Bot River is about 35km from Hermanus and Eastbury Cottage. It’s easy to find turnoff, can be found on the R43 traveling towards Cape Town just after passing the petrol station on the left and the Pole Depot on the right. Although slightly overlooked in years gone by, Bot River is now becoming a humming part of the local wine industry. Part of the Overstrand and Overberg region, wine production has grown tremendously in the past 10 years. Bot River was so named as both the indigenous Khoi-khoi tribe and the original Afrikaans settlers of the region attributed the river with butter – “botter” in Afrikaans and “couga” in the Khoi-language. The river was used as a general meeting and bartering place between these two peoples in the olden days and its frequent use meant that the name of the river stuck and later lent itself to the town that developed around the river meeting place. Bot River is a quiet little town and is very proud of its history and has kept many of its beautiful old buildings in mint condition. The Bot River hotel – probably established around the 1980’s – and the local pub are both housed in historical buildings and the public is welcome to come in and lose themselves in browsing the by gone years and memorabilia available. To aid the nostalgic trip back in time, Bot River also has a working steam engine that offers rides around the quaint hamlet. The marsh and lagoon formed at the mouth of the Bot River forms a habitat for hundreds of fascinating species. In the quiet of the virtually undisturbed nature one can find thousands of water birds as well as a perfect spot for relaxation, swimming or fishing. Bot River lagoon is also the home to one of the last remaining herds of wild horses. The beautiful scenery and mostly predictable weather have been magnets for artists of all kinds for years. Stunning photographs and paintings of Bot River have existed as long as knowledge of the place has existed and the town is known for attracting the film industry as well. In the 1970’s and 1980’s Bot River was the setting for the beloved Afrikaans TV show Nommer Asseblief – translated to ‘number please – which got turned into a movie in 1981. Hundreds of fans that stretched over three generations flocked to the town to get a glimpse and a private show from the actors and actresses. Today the appeal has not worn off – a new film production company is going to set up base in Bot River soon. Bot River is the perfect place for a quick day trip that will leave you feeling rejuvenated and pleasantly in touch with nature. It’s less than an hour away from Hermanus and a day trip to Bot River offers all the perks of a town on top of its historic richness and the unspoilt beauty and silence of the natural world. For more information about Bot River and all it has to offer, call their information office on 028 4233626. 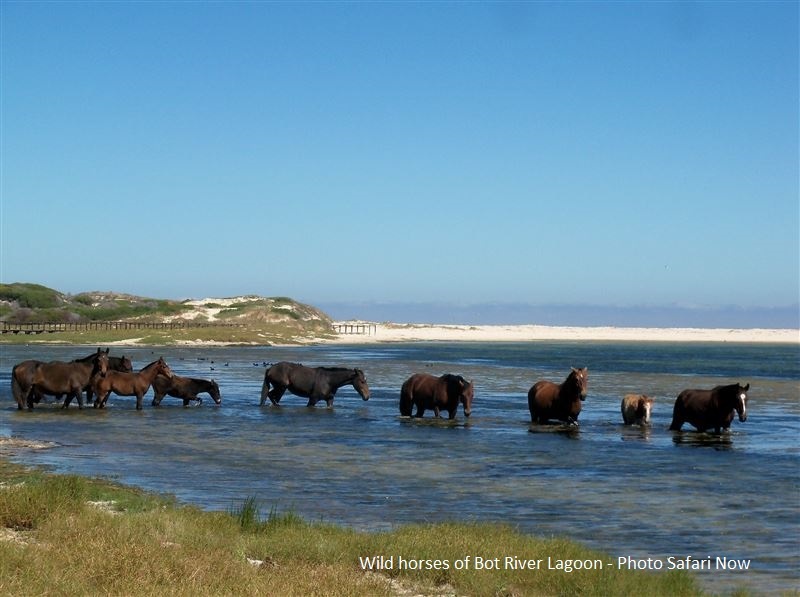 We hope to post more information about Bot River wines, birding and the wild horses of Kleinmond and Bot River in future blog posts.